There's not much going on right now that's all that interesting, hence my lack of posts. Here's a quick recap of the last week and weekend. 1. I survived my first "reporting deadline week" at work in my new job. It was great. I love being so busy you can't even stop for lunch. I know that's silly, but it invigorates me. And just like that, we're back down to nothing and it's a nice relief. I can focus on my audits and those are a fun challenge as well. 3. 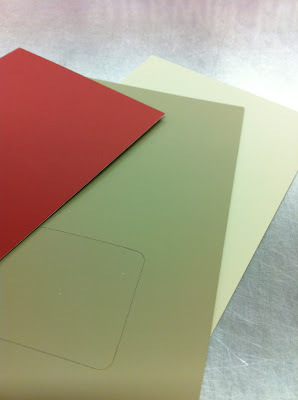 Paint colors! Got these on Saturday. 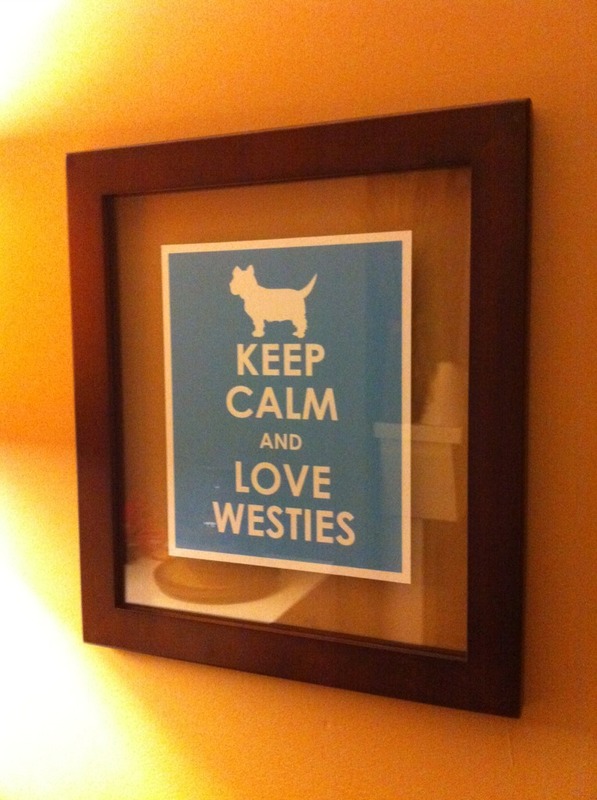 They are for our master bedroom. The red is for the wall of windows, the lighter color for the rest of the walls, and the darker for an accent color and possible as a base color for our master bath. The whole room is still a work in progress so stay tuned for an entire post on the project (whenever I finish it!). 4. Our first Halloween at 415 was great. We weren't sure what kind of traffic we'd get in our neighborhood since it's such a mixed bag of folks, but we got about 5-10 groups come through. 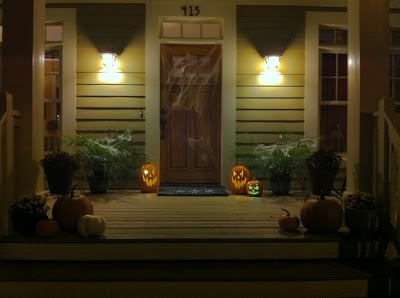 Here's my last minute attempt to "Halloween up" our front door. I thought it looked cute! 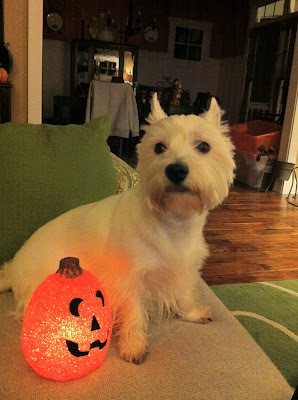 And if you follow me on Twitter, you may have seen Three's attempt at Howl-oween cheer. She wasn't thrilled to be sitting next to this glowing pumpkin, but I managed to get a cute shot of her with her ears back. 5. Lastly, I added a new home accessory to our living room last week. I ordered this print from Etsy a while back and it finally arrived (when I remembered to pay for it! Oops!). How jealous are you of this?